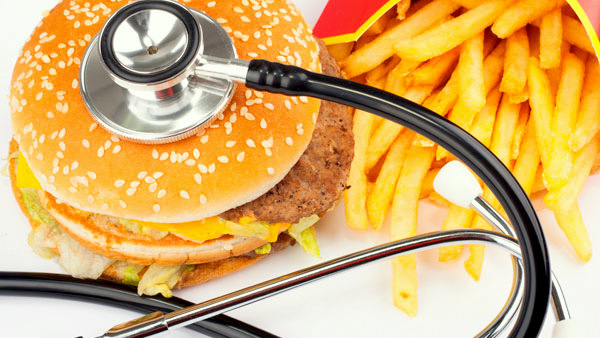 In defense of dietitians: How best to deal with America’s fast food addiction? OPINION: After dietitians are blasted over a conference presentation by McDonald’s, one of them argues that people of modest means may have few other food options. Above: Is asking people to cut back on the worst fast food a more realistic strategy? At the recent Maryland Academy of Nutrition and Dietetics annual meeting, a McDonald’s spokesperson presented their new, healthy menu options and offered nutrition-related advice on fast foods. Soon after, The Brew published an opinion piece by Dr. Joseph A. Adams, a Baltimore-based physician, who voiced his anxiety that dietitians are strongly influenced by the food industry. His unease extended to the financial sponsorship of the Academy of Nutrition and Dietetics’ annual meeting by food corporations like Coca-Cola, Kraft Foods, Nestle and PepsiCo. I don’t disagree with Dr. Adams that such sponsorships raise questions, but as professionals, individual dietitians are well aware and educated regarding the reality of corporate industry. Medical societies are struggling to remain independent from big business as well. Professional organizations, such as the American Medical Association, are allowed to accept 25% of their continuing education budget from pharmaceutical companies. The potential for conflicts of interest would decrease if nutrition organizations were mandated to be separate from industry, but money, unfortunately, provides power and reach to big corporations. The arena of nutrition has been plagued by industry influence for decades. The government allows industry to self-regulate. But as writer and lawyer Michele Simon highlights in her book “Appetite for Profit,” attempts by fast food companies to appear more health-conscious are likely PR gimmicks aimed to keep consumers and the government fat, happy and away from the regulatory policy development table. “Healthy” food choices, according to Simon, are not the big money-makers for businesses like McDonald’s. As dietitians, we know that “healthier choices” are only healthier in comparison to the fat and sugar-laden alternatives on fast food menus. Working with low-income persons, however, I understand the ubiquitous nature of fast food is not something that can be ignored. Limited education, access issues such as “food deserts” (areas where grocery stores are absent) and financial pressures cause fast food to be a staple for some, especially the poor. As nutrition experts, we understand that scolding people into making healthier choices is not an effective strategy. Using motivational interviewing techniques and encouraging the slow development of better choices is a good, practical start to healthier habits. Weaning people away from bad food behaviors promotes lasting behavioral change. Considering the aforementioned, the choice to have a fast food representative inform us of healthier choices makes a bit more sense, though an education handout (versus an entire presentation at the conference) might have been more appropriate. Regardless of debatable industry influence, dietitians and physicians need to support one another to succeed in a culture that is progressively becoming more ill and obese. The first step in supportive relationships is to understand one another. As dietitians, we do more than counsel on portion size and moderation. We monitor nutrition status, listen and advise, provide encouragement, and individualize nutrition therapy for each client or patient. We educate on a very broad variety of subjects: disease processes, preparing food from scratch, how to maneuver in a grocery store on a limited budget, fast food options food and drug interactions. I do tele-counseling for chronic disease patients who have diabetes, heart failure, COPD, obesity, chronic kidney disease, among other issues. Our population is typically underserved, and we communicate with their primary-care doctors to provide more comprehensive and effective care and education. We have an important supplemental role to physician patient care. Mutual understanding and appreciation of health care disciplines will lead to more successful outcomes regardless of what corporations may be lurking around the corner. Joanna Morris (MS, RDN, LDN, ACE-cpt) is a Baltimore-based clinical dietitian for UnitedHealthcare, working within their Chronic Special Needs Plan.